Please check back to see if I’ve added any last minute shows and/or exhibits throughout the year. Or have them delivered to your email, just sign up with the link below and be personally invited to any and all shows by e-mail. Click here to sign up for my email list to stay informed and be invited to exhibits and the occasional studio tour. If you missed a show or wished you would’ve bought something at the show contact me or please have a look around here in my online shop. I’ll be happy to ship something to you! I don’t know my booth number yet, but when it’s assigned I’ll post it here. Cost: Free & some music concerts require you buy a ticket. I’m excited to share new paintings that I’ve created this year at the annual Artisans Craft Market at the Rapp Owen Granary! This is a very family friendly event and the whole town is involved. The Granary is on Granary Street. It may seem like it’s a little off the beaten path from the downtown area, but it it is just a few short blocks from everything going on. Celebrate the warmth and excitement of the Holiday Season and get in the holiday spirit while you get your Christmas shopping done. Art makes a wonderful gift for someone special or a gift for yourself. In the Artisans Market there will be many art vendors including paintings, handcrafted pottery, fiber art, handblown glass, handcrafted wood gifts, and handcrafted jewelry. Shop for unique Christmas decorations and gifts at the Antique and Craft Sale in the Ribeyre Gym & Rapp Annex (S. Main and W. Tavern Streets). More craft shopping across the street at the Odd Fellows Building (S. Main and E. Tavern Streets). UPDATE: I had to bail on this show. 37˚ degrees and an outdoor show do not mix. I’m sorry for any inconvenience. I look forward to seeing you at the next one INSIDE! Christmas in New Harmony. Featuring Textiles, Ceramics, Hula-Hoops, Woodcuts, Paintings, and more. Mini Con September 29 from 11:00 a.m. to 3:00 p.m. – Join us for a fun celebration of comic books, movies, graphic novels, anime, comic art and much more! We will have crafts, games, vendors, artists, and a cos-play runway! Everyone who shows up in costume will receive a special prize. This is a free family friendly event. No registration required. Free to attend! My booth is #166 by the fountain. My booth has not been numbered yet, I’ll post it as soon as I know where I’m going to be. For more information about my exhibit, click here to see this post. What’s there? 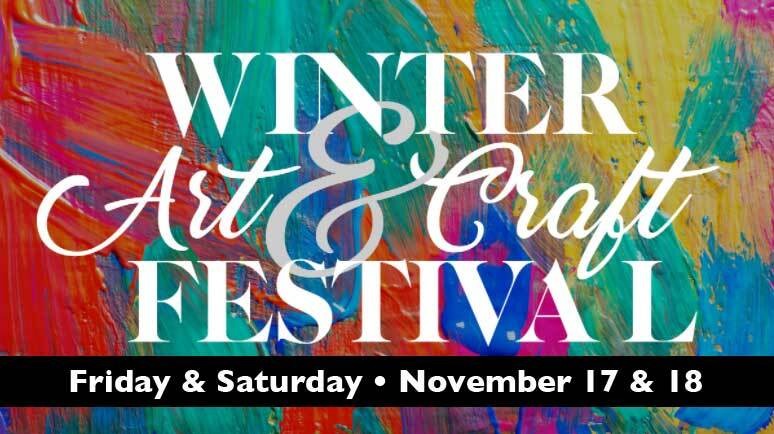 Artists and makers sell their handmade items at this event including body care, candles, ceramics, florals, food, jewelry, mixed media, artwork, photography, vintage, up-cycled furniture and more. Plus music, food and kids activities! Kids activities and music from 12 to 3. 5:00pm—-13th Annual “Tree Lighting Ceremony” at Front Courtyard of New Harmony Inn Resort. Complimentary Christmas cheer and roasted chestnuts served. 8:00am—10:00am—-Breakfast with Santa at Catholic Community Center on S. Main Street. Fee charged. 10:00am—-Auction William Wilson Auction & Realty on 1026 Granary St.
10:00am—4:00pm—-Shade Tree Players Ribeyre Gymnasium on 603 S. Main St.
11:00am—2:00pm—-Make & Take Decorations at Hoosier Salon on 507 Church St.
11:00am & 2:00pm—-Free Christmas movies at Events of Harmony on 515 S. Main St.
11:00am—5:00pm—-Kiwanis Sweet Shop at Ribeyre Gymnasium on 603 S. Main St.
1:00pm—-Christmas in Appalachia Concert at Thrall’s Opera House on 612 Church St.
5:30pm—-Bend in the River Brass Band Concert at Thrall’s Opera House on 612 Church St.
7:30pm—-Christmas in Appalachia Concert (with LIVE WNIN broadcast) at Concert Thrall’s Opera House on 612 Church St.
10:00am—4:00pm—-Kiwanis Sweet Shop Ribeyre Gymnasium on 603 S. Main St.
10:00am—4:00pm—-Artisan Crafts Rapp-Owen Granary on 413 Granary St.
1:00pm—4:00pm—-Shade Tree Players Ribeyre Gymnasium on 603 S. Main St.
1:00pm—-Signature School Choral Concert at Thrall’s Opera House on 612 Church St.
2:00pm—-Free Christmas movie at Events of Harmony on 515 S. Main St.
Old World Santas will be strolling through the town handing out candy and spreading Christmas cheer! Local Shopping—Our local merchants will feature Holiday Open Houses about town. View a complete list with hours here! I am displaying (and selling) 9 paintings at Alexandrian Public Library. My paintings will be located in the long entry hall. If you are interested in purchasing a painting, contact me at 812-783-0399 or if you would like for me to meet you there. While I’m happy to sell the paintings, I do ask that the painting remain in the exhibit until August 30th then it would be delivered to buyer. I gave a review about this show, read it here. My first time at this show in downtown Henderson, Kentucky. What’s there? 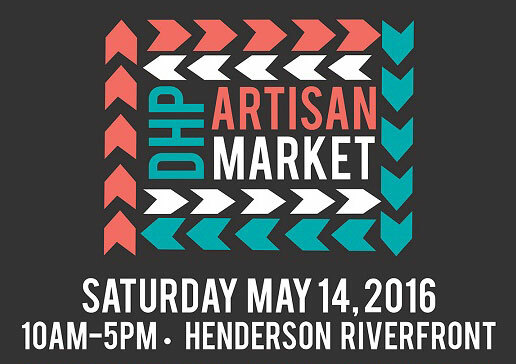 Artists and makers sell their handmade items at this event including body care, candles, ceramics, florals, food, jewelry, mixed media, artwork, photography, vintage, upcycled furniture and more. Plus music, food and kids activities! Kids activities will be provided by HorseFeathers Gifts and music from 12 to 3 by Heath & Molly. The first show of the year! Spring Fling is March 19th and 20th. It’s held in the Ribeyre Gymnasium, Main & Tavern Streets in New Harmony Indiana. I’ll be there with my paintings, prints, note cards and more. There will be plenty to see and buy! This will be my second time at Spring Fling. It’s the earliest show I’ve found, they usually don’t get started until late April so come on out and see my newest paintings! Show includes vendors offering my art & paintings, handmade baby and pet slings (My friend Amelia makes these! ), antiques, collectibles, personal gifts, handmade purses, jewelry, glass art, quilts, oil lamps, baked goods, Watkins, inspirational cards, soaps, pottery and much more! This was a great show last year in 2015, read about it on this post on my blog. There is so much to do… and this isn’t everything! Have your child’s picture taken with Santa! 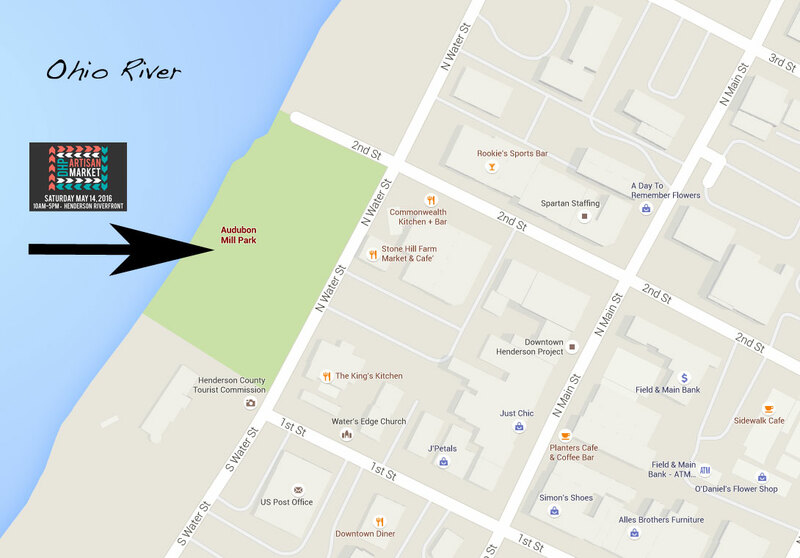 Shopping Gala, Antique & Craft artists & vendors…sweet shop…& Santa’s cafe at the Ribeyre Gym! 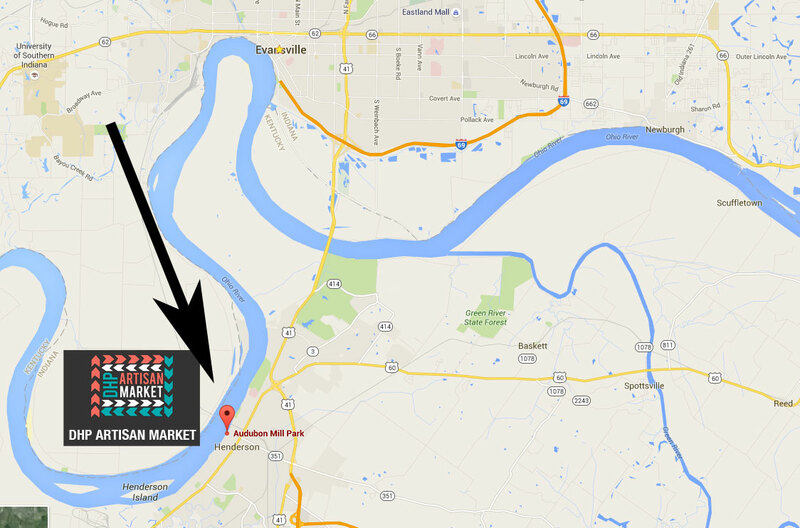 10th annual Artisan Market at the Rapp Owen Granary! – This is where I’ll be! Open houses, themed shopping and Holiday specials at New Harmony’s many art galleries, antique and specialty shops! Shop for one-of-a-kind Christmas gifts and decorations! 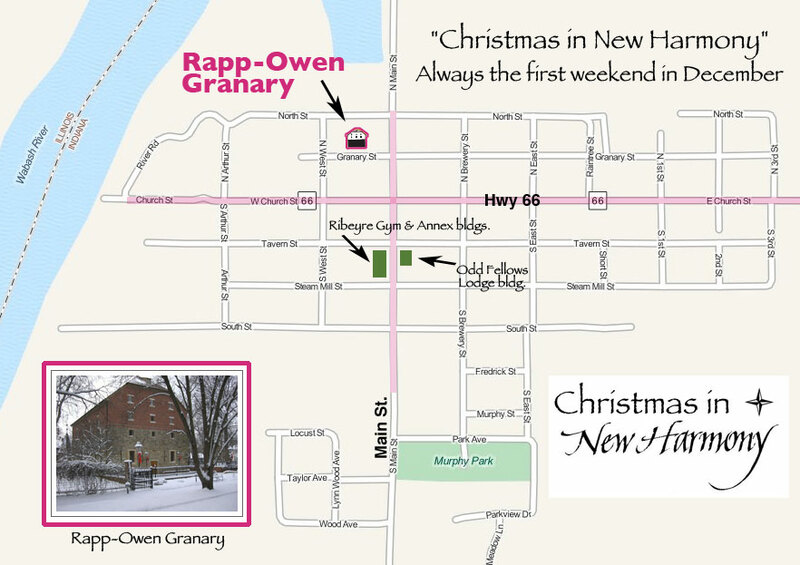 Enjoy the spirit of the Holiday Season in the historic small town setting of New Harmony. If you’ve never been to New Harmony, there is no better time to see our beautiful town than during Christmas in New Harmony. Please share this invitation with anyone you may think would enjoy this exciting two day event. Come and have a wonderful weekend, I hope to see you there. 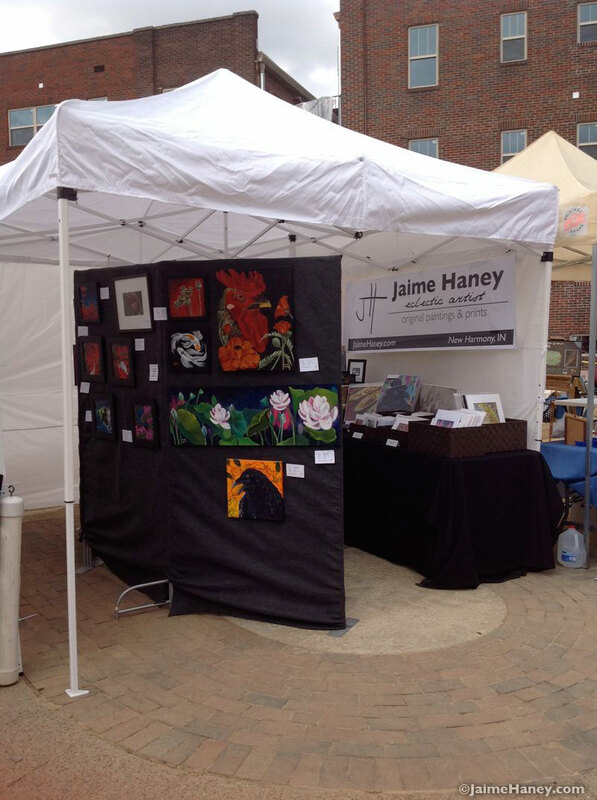 If you’re not able to make it, but are interested in my work, my art is available on my website, www.jaimehaney.com, or by calling, text me or e-mailing me. You may also request a private studio visit. For a walking map of the whole town of New Harmony to print or view, click here. Very handy! 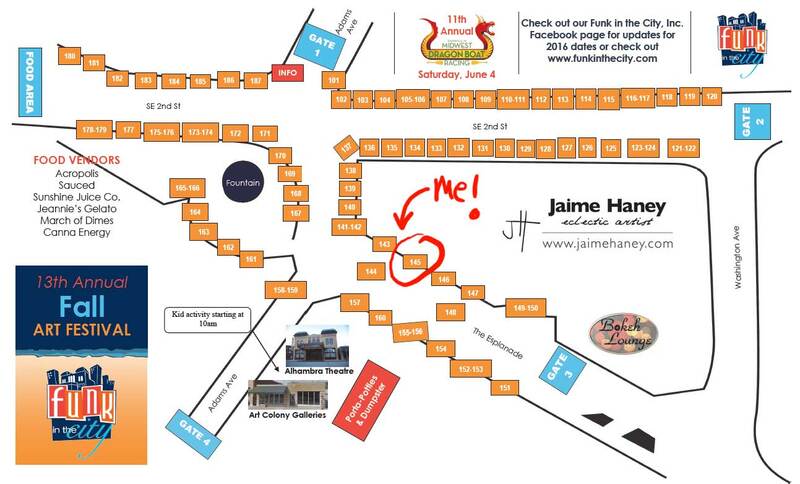 My booth is #145 this year, near the Alhambra Theatre. What is it: Taken from newharmony.biz – “Arts in Harmony” is an open air fine arts, crafts, & music festival in historic downtown New Harmony. More than 40 local and regional artists are expected to be present and there will be music by local and nationally know musicians. You’ll discover a wealth of arts and crafts, from paintings, hand-blown glass, sculpture, and jewelry to ceramics, basketry, ironwork, woodwork, and furnishings.Participating artists are selected based on originality, creativity and craftsmanship; commercial molds, kits and commercially fabricated forms are not permitted in the show. All of the work is handmade and all of the artists are present to talk about their artwork or demonstrate their talents.Admission to the Family Friendly “Arts in Harmony” is always FREE! NOTE: If raining heavy or an all day rain or if it’s stormy, I will not be setting up my booth. I just have too much to lose. Thanks for understanding, you can always give me a yell to see if I’m set up at 812-783-0399. The first show of the year is this weekend! Spring Fling is March 21st and 22nd. 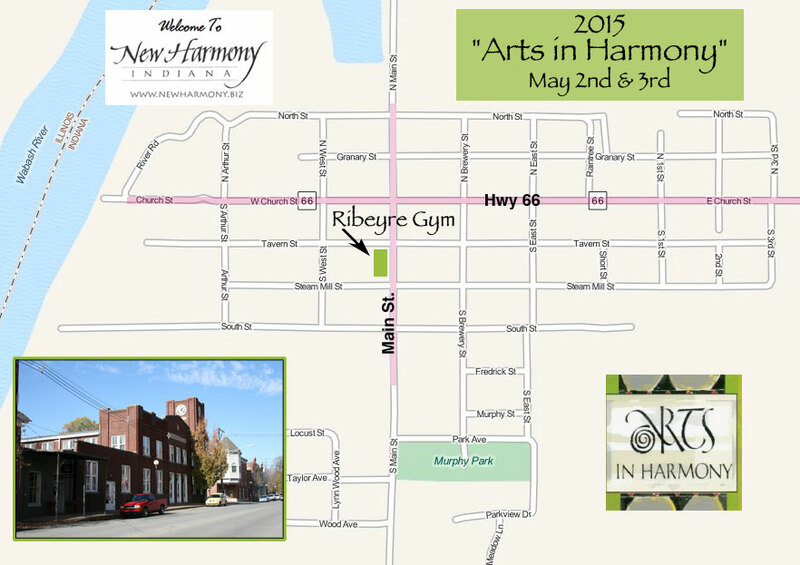 It’s held in the Ribeyre Gymnasium, Main & Tavern Streets in New Harmony Indiana. I’ll be there with my paintings, prints, note cards and more. There will be plenty to see and buy! This is my first time at Spring Fling. It’s the earliest show I’ve found, they usually don’t get started until late April so come on out and see my newest paintings! This was a great show, read about it on this post on my blog. Time: 9am – 4pm Sat. & 11am – 4pm Sun. I’m excited to share new paintings that I’ve created this year at the 11th annual Artisans Craft Market at the Rapp Owen Granary! This is a very family friendly event and the whole town is involved. The Granary is on Granary Street. It may seem like it’s a little off the beaten path from the downtown area, but it it is just a short few blocks from everything going on. Celebrate the warmth and excitement of the Holiday Season and get in the holiday spirit while you get your Christmas shopping done. Art makes a wonderful gift. In the Artisans Market there will be many art vendors including paintings, handcrafted pottery, fiber art, handblown glass, handcrafted wood gifts, and handcrafted jewelry. Christmas Tree Lighting on Friday evening, December 5th, at 5:00pm at the New Harmony Inn (North & N. Brewery Streets). FREE Horse drawn carriage rides with Apple Blossom Carriage Co. on the quiet streets of New Harmony, Saturday 11am to 3pm and Sunday noon to 3pm. FREE viewing of the movie “The Three Dogateers” at Events of Harmony, 515 S. Main Street, Saturday at 11am. Enjoy a FREE Preview of the Midwinter Night’s Dream Concert in Murphy Auditorium, 419 W. Tavern Street. Saturday at noon. Admission is a donation of winter coats, canned goods and/or money which will be given to local charity. The Children’s Center for Dance Education will perform the Nutcracker Ballet at Thrall’s Opera House, 612 E. Church Street, Saturday 1pm and 3pm. Tickets available at the door. Enjoy holiday favorites performed by the Bend in the River Brass Band at Thrall’s Opera House, Saturday at 6:30pm. Free admission, donation accepted. A Midwinter Night’s Dream concert featuring Celtic fiddle tunes, old time carols, colonial Christmas music and more. Murphy Auditorium, Saturday at 7:30pm. Tickets available at the door. Open houses with refreshments, themed shopping and Holiday specials at New Harmony’s many art galleries, antique and specialty shops! Meet the strolling Old World Santas delivering Christmas cheer & candy to good little boys & girls! I am displaying (and selling) 6 paintings in this new gallery in beautiful downtown Evansville. 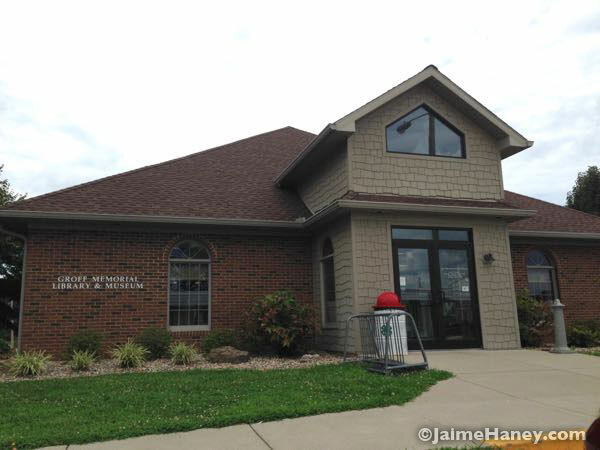 The gallery phone number is 812-459-5182 if you have questions or need assistance. You can always call me as well at 812-783-0399. Map to gallery is below. Please join me for this fun outdoor fall event! Join us June 21st for a wonderful outdoor event! Art in the Park is a free summer art fair and will be held this year in the beautiful Wesselman Woods Nature Preserve. Local artists and businesses will have booths set up with plenty of artworks, live music and other forms of entertainment. Art in the Park is a family friendly event, please check back for more information as it becomes available. I’m not sure yet where exactly I’ll be. If you need assistance in finding me you can call me at (812) 783-0399 or tweet me, I’m artsyfartsyme on Twitter. Indoor and outdoor art fair – The show is held in the historic Ribeyre Gym in New Harmony, Indiana (corner of Tavern & Main Streets) & on Tavern Street RAIN or SHINE! Taken from newharmony.biz – “Arts in Harmony” is an open air fine arts, crafts, & music festival in historic downtown New Harmony. More than 40 local and regional artists are expected to be present and there will be music by local and nationally know musicians. You’ll discover a wealth of arts and crafts, from paintings, hand-blown glass, sculpture, and jewelry to ceramics, basketry, ironwork, woodwork, and furnishings. Participating artists are selected based on originality, creativity and craftsmanship; commercial molds, kits and commercially fabricated forms are not permitted in the show. All of the work is handmade and all of the artists are present to talk about their artwork or demonstrate their talents. Admission to the Family Friendly “Arts in Harmony” is always FREE! The Spirit of Summer Window Show will be available for viewing June 30- July 7. PLEASE NOTE it will be CLOSED Thursday, July 4. Therefore, the show will not be viewable. An opening reception will be held Sunday, June 30 1-4pm. Join us for light refreshments, a raffle and fun! Please join us June 1st for a wonderful outdoor event! Art in the Park is a free summer art fair and will be held at the Boy Scouts Eykamp Center. Local artists and businesses will have booths set up with plenty of artworks and other forms of entertainment. Art in the Park is a family friendly event and there will be a Children’s Activity Tent along with the Hadi Shriner’s Clowns! I’m not sure which booth I’ll be in yet, but the yellow spots are the booths. I hope to see you there! If you need assistance in finding me you can tweet me, I’m artsyfartsyme on Twitter. I’d love to have you share my events with anyone who you think might enjoy them!